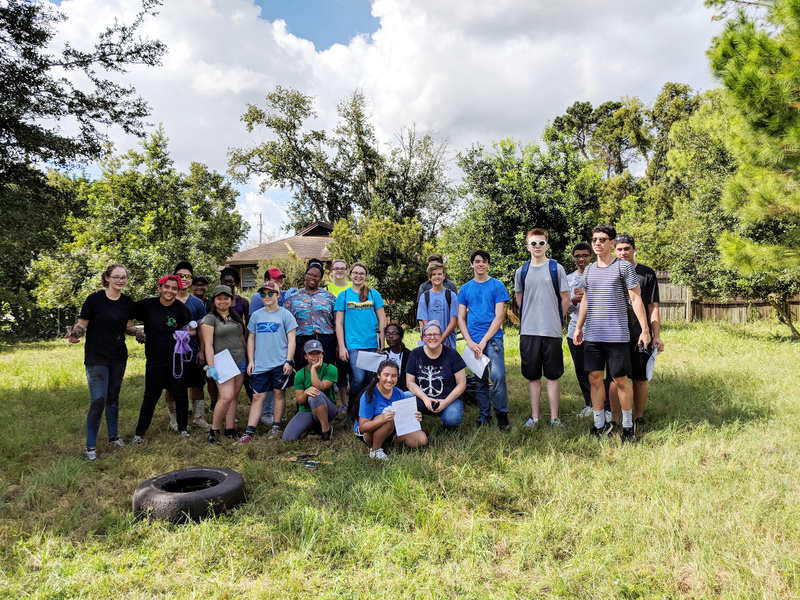 Students from the newly-formed Environmental Club at Ridgeview High School in Orange Park have been volunteering their time to help out at Crosby Sanctuary! More than 25 students came to our Crosby Saturday Bird Walk and Work Day in September (always held the fourth Saturday each month from September thru May unless otherwise noted) and helped with trail maintenance, weeding, and trash pickup. Many of the students returned for the October Crosby Saturday and helped with similar tasks, and several joined us for our bird walk before the work day and enjoyed beautiful weather, a lovely nature walk and some great birds! We spotted a Yellow-bellied Sapsucker, a Worm-eating Warbler, two Northern Waterthrushes, and many Eastern Phoebes. We truly appreciate the help from these hardworking and enthusiastic young leaders, and look forward to working with them again in November! Please join us for our next Crosby Saturday Bird Walk and Work Day on Saturday, November 24, 2018. The bird walk starts at 8 am and we'll start our work projects around 9:30 am. Even if you cannot stay for the work day, please join us for birding - you won't regret it! Early Voting is going on right now in Clay, Duval and Nassau Counties and of course Election Day is Tuesday, November 6th! 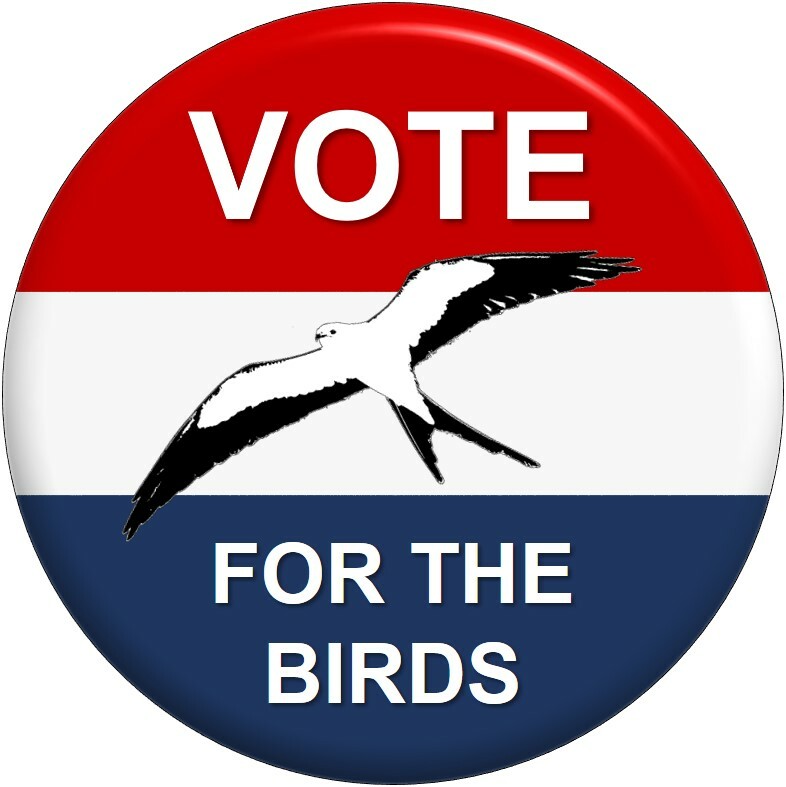 Duval Audubon Society cannot endorse any candidate, but please, research your candidates so you know where they stand on environmental and conservation issues! And then....VOTE FOR THE BIRDS!! 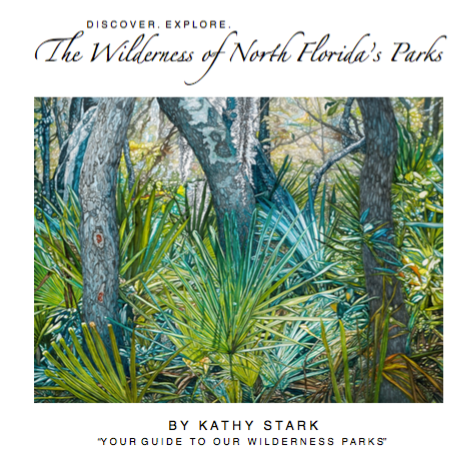 Join us for our next program, "The Wilderness of North Florida's Parks," featuring artist and author Kathy Stark, who will discuss her book and traveling exhibition showcasing the fascinating history and incredible beauty of North Florida's amazing parks. Her project combines her expansive watercolor paintings with sketches, historical facts and maps to create an exhibit that is a unique blend of art and education, serving as a tribute and guide to the great unspoiled stretches of our region. 6:30 pm, Monday, November 19, 2018 at the Charles Neviaser Educational Institute of Community Hospice, 4266 Sunbeam Road #100, Jacksonville, FL 32257. See you there!